Come support the EQUUS Foundation on February 20th when George Morris and Katie Prudent judge teams of grand prix riders on their style and performance. Just three weeks away, horses are being selected and teams are being finalized for a first of its kind competition to support the EQUUS Foundation. 100% of the event proceeds benefit horse welfare. Nicole Bellisimo, Candice King and Catherine Pasmore are the latest riders joining Max Amaya, Molly Ashe-Cawley, Hayley Barnhill, Georgina Bloomberg, Derek Braun, Kirsten Coe, Kent Farrington, Brianne Goutal, Lillie Keenan, Darragh Kenny, Laura Kraut, Beezie Madden, Rodrigo Pessoa, Nicki Simpson, Jessica Springsteen, Jimmy Torano, Hardin Towell, McLain Ward and Denise Wilson. CallariCars.com is the latest to sign on as a team sponsor joining Animal Planet, Ariat International, Blackburn Architects, Fairfield Equine Associates and Split Rock Jumping Tour. Click here to reserve your table online. The Best Performance Team Invitational is a special event of the Best Performance Competition (BPC), the joint program of the United States Equestrian Federation and the EQUUS Foundation that rewards competitive excellence at recognized events and provides on-going support for horse welfare. Learn more about the BPC here. Colorado Springs Spring and Fall Shows, Lake St. Louis Hunter/Jumper Series, Monmouth County Show Series, and Raleigh Indoors are the latest to sign on to offer the Best Performance Competition, bringing the total to over 70 horse shows across the United States. 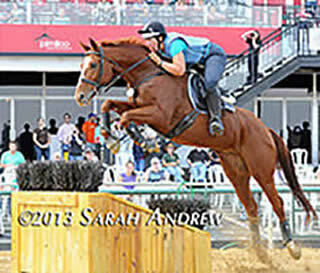 To view the current list of participating horse shows, click here. Add your horse show here. The first Best Performance Team Invitational will take place on Friday evening, February 20, 2015, under the lights in the International Arena during week 7 of the Winter Equestrian Festival in Wellington, Florida. Darragh Kenny, Laura Kraut, Beezie Madden, Rodrigo Pessoa, and McLain Ward are among the grand prix riders forming teams to compete over a jumper course judged on style and performance by the legendary George H. Morris and Katie Prudent. Jenny Belknap Kees and Chrystine Tauber are serving as the Honorary Co-Chairs of the EQUUS Foundation Fete Cheval Etoile, which will be held in conjunction with the class. Guests arriving in the International Club at 6pm will enjoy cocktails and dinner as well as a tribute to the 2015 Horse Stars Hall of Fame Inductees. 100% of the proceeds benefit horse welfare. Table sales are now open here. For questions about the Best Performance Team Invitational and Fete Cheval Etoile table reservations, contact Shannon Coakley at 203-259-1550, shannon@equusfoundation.org. The Best Performance Team Invitational is a special event of the Best Performance Competition (BPC), the joint program of the United States Equestrian Federation and the EQUUS Foundation that rewards competitive excellence at recognized events and provides on-going support for horse welfare. The Best Performance Competition – It’s A Win-Win-Win! Enroll here to participate in the Best Performance Competition (BPC), an exciting new joint effort of the USEF and the EQUUS Foundation to reward competitive excellence and support horse welfare. The winners are the individuals who, in the opinion of the judges, exhibit the best overall competitive performance at the show and accumulate points in the Best Performance Competition overall standings for the USEF competition year starting on December 1, 2014. A Win for Horse Shows: There’s no enrollment fee and easy to sign up; participating horse shows may retain up to 50% of the class entry fees to cover the administration and operation of the program and will be eligible to win the Best Performance Competition Horse Show of the Year Award, which will be presented by the USEF to the horse show(s) with the greatest percentage of program participation. A Win for Competitors: You will be recognized for all your “best performances” throughout the competition year; it’s easy to participate, and the entry fee of $20 is tax-deductible. You will be making a difference in the lives of horses and people in need! A Win for Horse Welfare: Program proceeds will be used to help reduce the unwanted horse population, retrain horses for multiple careers and make equine therapy available to more people with special needs. For the EQUUS Foundation, it’s all about how horses move us beyond our boundaries – as athletes and humanitarians. For more information, visit the Best Performance Competition here or contact Shannon Coakley by phone at 203-259-1550 or by email at shannon@equusfoundation.org. About USEF: Established in 1917, the United States Equestrian Federation (USEF), www.usef.org, is dedicated to uniting the equestrian community, honoring achievement, and serving as guardians of equestrian sport. The USEF promotes the safety and welfare of horses and riders while encouraging interest, participation and excellence at every competitive level and for all breed and discipline affiliates within the Federation family equally. The USEF is the only national organization dedicated to the promotion of the equestrian sport, fair competition and equine welfare regardless of breed or discipline. Sam Gleason and Lulu at the Ox Ridge Horse Show, December 6-7, 2014, Darien, Connecticut. USEF Rallies the Equestrian Sport for Horse Welfare! Teams of grand prix riders will compete over a jumper course judged on style and performance by the legendary George H. Morris and Katie Prudent in the featured event of the EQUUS Foundation’s Fete Cheval Etoile. Chaired by Jenny Belknap Kees and Chrystine Tauber, the event will be held on Friday, February 20, 2015 at the Palm Beach International Equestrian Center in Wellington, Florida. The Best Performance Team Invitational is a special event of the Best Performance Competition (BPC), a joint program of the USEF and the EQUUS Foundation rewarding competitive excellence and providing on-going support for horse welfare. The Horse Stars Hall of Fame was established in 2013 as a joint effort of the USEF and the EQUUS Foundation to celebrate the extraordinary talent of horses and the magical bond between horses and people. The “Horses of Honor” selected by USEF are inducted annually in the “Athlete” category. “Humanitarian” inductees are selected by the EQUUS Foundation. Nominations must be received on or before December 31, 2014 to be considered for the 2015 induction. To submit a nomination, click here. The online application to apply for a Champion of Equine Service scholarship is now open. Thanks to Champions sponsor Ariat International, the EQUUS Foundation will award a minimum of four $1,000 Champion of Equine Service Academic Scholarships in 2015 to individuals achieving Champion status in 2014. We wish you a happy Holiday Season and hope you will consider making a gift to the EQUUS Foundation today! Mr Wise Guy, 2013 PATH International Equine of the Year. WESTPORT, CT – October 22, 2014 – The suspense is building for the announcement of the 2014 PATH Intl. Equine of the Year, which will be chosen from the 11 PATH Intl. Region Equine winners. The EQUUS Foundation is sponsoring the award, which will be presented on Friday, October 31, 2014 at the PATH Intl. Conference in San Diego, California. The recipient will not only be honored by PATH Intl. but also inducted into the Horse Stars Hall of Fame, a joint program of the EQUUS Foundation and the United States Equestrian Federation (USEF), which celebrates extraordinary talent of horses and their magical bond with people. The EQUUS Foundation will also award a $1,000 grant to an equine charity on its Equine Welfare Network selected by the owner of the recipient. Learn more about the past recipients of the PATH Intl. Equine of the Year Award here. About PATH Intl. : The Professional Association of Therapeutic Horsemanship International (PATH Intl.) was formed in 1969 to promote equine-assisted activities and therapies for individuals with special needs. At 852 member centers, more than 58,000 children and adults find a sense of independence through involvement with horses. These member centers range from small, one-person programs to large operations with several certified instructors and licensed therapists. In addition to therapeutic equitation, a center may offer any number of equine-assisted activities including hippotherapy, equine-facilitated mental health, driving, interactive vaulting, trail riding, competition, ground work or stable management. Through a wide variety of educational resources, the association helps individuals start and maintain successful equine-assisted activities and therapies for individuals with special needs. There are nearly 53,000 volunteers, 4,544 instructors, 7,733 equines and thousands of contributors from all over the world helping people at PATH Intl. centers. To learn more about PATH Intl. and how the power of the horse changes lives, please visit www.pathintl.org. There’s Only One More Week for Horses to R.O.A.R. You can vote once a day every day through October 7th. If you want to do even more, share this message with 5 friends and encourage them to vote too! We can already hear horses all over the planet neighing in thanks! Animal Planet, a multi-media business unit of Discovery Communications, is the world’s only entertainment brand that immerses viewers in the full range of life in the animal kingdom with rich, deep content via multiple platforms and offers animal lovers and pet owners access to a centralized online, television and mobile community for immersive, engaging, high-quality entertainment, information and enrichment. Animal Planet consists of the Animal Planet television network, available in more than 95 million homes in the US; online assets www.animalplanet.com, the ultimate online destination for all things animal; Animal Planet L!VE, the go-to digital destination for round-the-clock, unfiltered access to the animal kingdom; and other media platforms including a robust Video-on-Demand (VOD) service, and merchandising extensions. Established in 2006, Animal Planet’s R.O.A.R. is dedicated to improving the lives of animals in our communities and in the wild. The R.O.A.R. partners benefiting from this program help wild and domestic animals in the U.S. and abroad. The campaign aligns Animal Planet with a powerful roster of leading animal and environmental organizations. R.O.A.R. is a key component of Discovery’s overall Impact initiative which strives to celebrate, support and sustain the majesty of the earth’s people, animals and natural beauty through innovative programs and events. For more information about how Discovery is making an impact, please visit: http://impact.discovery.com/. Through its Discovery Impact programs, Discovery Communications (Nasdaq: DISCA, DISCAB, DISCK) leverages the power of its brands, businesses and employees to give back to the world. From programming that inspires and educates to annual events that make a direct impact on the communities in which we live and work, Discovery strives to celebrate, support and sustain the majesty of the earth’s people, animals and natural beauty. For more information about how Discovery is making an impact, please visit: http://impact.discovery.com/. GlobalGiving enables individual and corporate donors to find and direct funds to high-impact grassroots projects around the world. By aggregating many donors, GlobalGiving has created a new source of funding for people with innovative solutions to challenging world issues. Utilizing its network of local projects and the globalgiving.org website, GlobalGiving helps companies achieve their charitable, corporate responsibility, employee engagement, and cause-marketing goals. GlobalGiving finds and vets projects, disburses funds, ensures reporting, and develops web solutions that leverage its community for corporate partner programs. GlobalGiving is a 501c(3) registered nonprofit organization based in Washington, D.C.. To date the GlobalGiving community has helped raise more than $145 million for more than 10,000 projects in 150+ countries. Photo courtesy of Personal Ponies Ltd., Inc.
WELLINGTON, FL – September 17, 2014 – The first of its kind “Horses Helping People” Family Resource Day will be held on October 5, 2014 for the children and families in southeast Florida to experience the positive impact of the horse-human bond up close and personal. From 1:00 p.m. to 4:00 p.m., the community is welcome to directly connect with the recreational and therapeutic facilities in Palm Beach County offering horseback riding and equine assisted activities and have the chance to win riding lessons and other products and services donated by exhibitors. “Horsing Around” activities include demonstrations of dressage by International Dressage Rider Marco Bernal, polo by Palm City Polo, and reining by the cowboys of Steed Training. “Horse Health” will be a topic covered by the Palm Beach Equine Clinic, and Personal Ponies will have its specially trained Miniature Shetland ponies on hand. In addition to “horsing” around, there will be arts and crafts, ìHair Chalking by Spazio Salon with HairChalk by L’oreal Professional. Tasty treats are being donated by Visiting Angels of SE Florida. This FREE event, sponsored by the EQUUS Foundation and American Association of Caregiving Youth (AACY), will be held, rain or shine, in the covered Van Kampen Arena thanks to the support and generosity of the Van Kampen Boyer Molinari Foundation. The Arena is located on the grounds of the Palm Beach International Equestrian Center at 13500 South Shore Boulevard in Wellington Florida. Space is still available for recreational and therapeutic riding programs who wish to exhibit at the event. For more information about the event, sponsorship, and clinic registration, contact Abbi Bentz at (561) 789-6076 or email abentz@visitingangels.com. The EQUUS Foundation and the American Association of Caregiving Youth (AACY) are working together to connect caregiving youth across the United States to the more than 800 equine charities on the Foundation’s Equine Welfare Network. AACY’s mission is to increase awareness about the effects on children who provide care for family members who are ill, injured, elderly and/or disabled. AACY’s model program, the Caregiving Youth Project (CYP), works in partnership with the School District of Palm Beach County and currently serves more than 500 caregiving youth and their families in eight area middle schools and 17 high schools. AACY programs are aimed at reducing anxiety and depression and increasing the caregiving children’s satisfaction with life and the ability to remain in school through the provision of counseling, education, and support services including respite and sponsored activities. Contact AACY at 1515 N. Federal Hwy, Suite 218, Boca Raton, FL 33432,; Tele: 561-391-7401; 800-725-2512; E-Mail: info@aacy.org, Website: www.aacy.org. WESTPORT, CT – September 2, 2014 – The Board of Directors of the EQUUS Foundation, Inc. is pleased to announce the award of $272,000 in grants to charities dedicated to ensuring the well-being of horses, improving the quality of life of people through equine-assisted activities and therapies, and fostering the horse-human bond. In addition to the grants to equine organizations, the Foundation also awarded $11,500 in scholarships to equine volunteers participating in the Foundation’s CHAMPIONS program thanks to EQUUS Foundation Partner Ariat International. “Our success in raising funds is directly related to donor confidence in our evaluation and selection process,” said Jenny Belknap Kees, the Foundation’s Chairman of the Board. “We have developed one of the most comprehensive and impartial verification processes over the years, including standards for the management and operation of a charity either directly or indirectly responsible for the care of horses,” continued Belknap-Kees. The EQUUS Foundation launched a new program this year, MESSENGERS, to recognize and reward organizations on the Foundation’s Equine Welfare Network that demonstrate a commitment to public transparency by their willingness to publish and make available critical data about their programs, horse care practices, and governance. Only organizations approved as Messengers are eligible to apply for grants. In addition, thanks to EQUUS Foundation Partner The Michele & Agnese Cestone Foundation, nine Messengers were selected by random to receive grants ranging from $500 to $1,000. The program is modeled on the same concept as Guidestar as a free information service. Organizations are in fact required to provide the necessary information to Guidestar to be recognized as a Silver Level Exchange Member before they are approved as Messengers so that both general and equine-related information is easily accessible to the general public. A link is available on the organization’s Equine Welfare Network profile connecting the visitor to the organization’s Guidestar profile. In addition, links are available on the organization’s Equine Welfare Network profile allowing the visitor to review detailed information on the organization’s equine policies and practices. Amazing Grace Equine Sanctuary, Inc. Animal Assisted Therapy Services, Inc.
Buffalo Therapeutic Riding Center, Inc.
Charleston Area Therapeutic Riding, Inc.
Green Chimneys Children’s Services, Inc. Helping Hearts Equine Rescue, Inc.
New Canaan Mounted Troop, Inc.
Rocking Horse Ranch Therapeutic Riding Program, Inc.
Small Miracles Therapeutic Equestrian Center, Inc.
United States Equestrian Team Foundation, Inc.
We Will Ride Therapeutic Riding Inc.
Wings and Hooves Therapeutic Riding, Inc. The EQUUS Foundation, a 501(c)(3) public charity established in 2002, also known as Horse Charities of America, is dedicated to improving the quality of life of horses, advancing the use of horses to enrich the lives of people in need and educating the public about the horse’s unique ability to empower, teach and heal. What started as a local effort is now a nationwide campaign on behalf of horses. The Foundation accomplishes its mission by providing financial support to horse-related charities across the United States; connecting a network of equine organizations to equine enthusiasts; providing scholarships to reward volunteer service on behalf of horses, and conducting information outreach to educate the public about horses. Donations are tax-deductible to the full extent of the law. Contact The EQUUS Foundation, Inc., at 168 Long Lots Road, Westport, CT 06880, Tele: (203) 259-1550, E-Mail: equus@equusfoundation.org, Website: www.equusfoundation.org. Staff Sergeant Reckless. Photo courtesy of United States Marine Corps. WESTPORT, CT – May 20, 2014 – In keeping with the spirit of Memorial Day, as it pays tribute to United States men and women who have died serving their country in the military and expresses gratitude to all servicemen and women, two military horses, Staff Sergeant Reckless (1949-1968) and Klinger (2000- ), are likewise garnering accolades. Both noted for exemplary service in the United States armed forces, they have been honored by the horse world as members of the Horse Stars Hall of Fame, a joint program of the EQUUS Foundation and the United States Equestrian Federation (USEF). Reckless, a Korean pony who stood 11 hands one inch, and Klinger, a Morgan-Percheron cross that towers above all his human associates at a height of 17 hands, are a contrast not only of size, but of time and place, their years of military service separated by more than half a century and thousands of miles. Both horses have inspired writers to tell their stories. In 2004, Betsy Beard, devastated when her son, Army Specialist Bradley Beard, was killed in action in Iraq, came to TAPS and began channeling her grief into writing, subsequently becoming the editor of TAPS Magazine. She later researched the TAPS mascot and wrote a fictional children’s book, Klinger, a Story of Honor and Hope, for the organization. Published in 2010, the book is given to children in the TAPS program, along with a stuffed horse modeled after Klinger. Now Janet Barrett’s new book, They Called Her Reckless — A True Story of War, Love and One Extraordinary Horse, is making Marines proud and winning a host of new fans for this real-life warhorse. The first full-length biography of the amazing Staff Sergeant Reckless, it tells of the powerful bond between her and her fellow Marines and what it achieved. Beginning in October 1952, Reckless was a valued presence to the members of the Marine Fifth Regiment fighting the Korean War, who acquired the Jeju pony to haul ammunition to the front lines. Specifically charged with transporting the heavy shells to the 75mm recoilless rifles, she did that and so much more: packing ammo beyond what anyone thought possible, saving lives, raising spirits, and winning the love and respect of all who knew her. 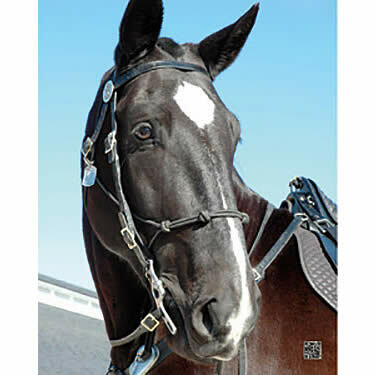 At age 13, Klinger, the oft-described gentle giant, is still a working member of the U.S. Army’s Third Infantry Regiment (The Old Guard) Caisson Platoon. In ten years of service, his various ceremonial duties have included being part of the team that pulled the caisson in more than 5,000 full-honor military funerals at Arlington National Cemetery. The kind, steady Klinger also provides another type of comfort, helping young children to cope with the death of a loved one in the armed forces. As the unofficial mascot of the Tragedy Assistance Program for Survivors (TAPS), a national nonprofit veterans service organization, Klinger is often on hand for TAPS events, where his gentleness is evident as he obligingly lowers his head for even the littlest child to pet his muzzle. Inducted into the Horse Stars Hall of Fame as humanitarian horses, the category overseen by the EQUUS Foundation, Klinger and Reckless show the diversity of what horses can accomplish. Though the role of a warhorse has virtually disappeared from combat, the work Klinger does with the Army and TAPS goes on. While the public generally knows more about sport horses, and many of the finest are selected by USEF for membership in the Hall of Fame, the EQUUS Foundation focuses on promoting the other avenues open to horses. “They are incredible animals,” says Lynn Coakley, the foundation’s president, “and we want people to understand just how much value they have beyond the role of sport horse, exciting as that can be.” In fact, she adds, “Many horses can go on to other careers after they leave the riding ring,” noting the growing field of therapeutic riding. Through its Equine Welfare Network, the EQUUS Foundation works with over 800 equine organizations, among them therapeutic riding centers and rescue organizations, providing financial support, or working with volunteers and staff to improve the delivery of services. Partnering with USEF to create the Horse Stars Hall of Fame, Coakley believes, is a simple and direct way to let people know the scope of what horses can do. Visit the Horse Stars Hall of Fame HERE to learn more about all the inductees. About EQUUS Foundation: The EQUUS Foundation, a 501(c)(3) public charity established in 2002, also known as Horse Charities of America, is dedicated to improving the quality of life of horses, enabling the therapeutic use of horses for those in need, fostering the horse-human bond, and educating the public about the horse’s unique ability to empower, teach and heal. Donations are tax-deductible to the full extent of the law. Contact the EQUUS Foundation, Inc., at 168 Long Lots Road, Westport, CT 06880, Tele: (203) 259-1550, E-Mail: equus@equusfoundation.org, Website: www.equusfoundation.org. Photos courtesy of Phelps Media Group. WESTPORT, CT – March 21, 2014 – Spectators and visitors ringside at the Palm Beach International Equestrian Center (PBIEC) in Wellington, Florida, generally enjoy some of the world’s best show jumping, but on Sunday, March 16, 2014, they enjoyed a different form of Olympic-level equestrian sport: vaulting. Guests at the EQUUS Foundation’s Fete Cheval Etoile enjoyed cocktails, dinner, dancing and an exhibition from the American Vaulting Association all in celebration and support of the amazing animal that is the horse. Fete Cheval Etoile is hosted annually by the EQUUS Foundation, recognizing the positive impact that horses can have on everyday lives. Since its inception, the EQUUS Foundation has awarded nearly $2.5 million in grants to charities across America that are improving the lives of horses, promoting the use of horses to enrich lives and educating the public about the horse’s unique abilities to empower, teach and heal. The Fete Cheval Etoile, co-chaired by Jenny Belknap Kees, EQUUS Foundation Chairman, and Chrystine Tauber, USEF President, welcomed ten new inductees into the Horse Stars Hall of Fame, established by the EQUUS Foundation and the United States Equestrian Federation (USEF) in 2013 to celebrate the extraordinary talent of horses and inducts both star competitive and humanitarian animals. The ten new inductees joining the inaugural 62 horses inducted in 2013 include equine athletes A Ruf Gal, Bizkit, Brunello, CH Callaway’s Annabel Allison, Sam and Simon and equine humanitarians Lucky To Be A Larkin, Mr Wise Guy +//, Skipper and Staff Sergeant Reckless. Upon arrival at PBIEC’s Gallery and Wellington Club, guests indulged in cocktails and delicious hors d’oeuvres while learning more about each of the new inductees through photos, video segments and short written biographies. Attendees mingled and took their chances on the Ariat International-sponsored games, Pin the Shamrock on the Pony and Wild Card Raffle. Lucky winners won a gift card toward any Ariat item up to $1,000, Ariat hats and water bottles. Following the cocktail hour, guests dined in the Wellington Club before turning their attention to the International Arena for the vaulting exhibition. Brian Lookabill kicked off the evening’s entertainment with a moving musical tribute to the 2014 Horse Stars Hall of Fame inductees. The incredible vaulting exhibition by the American Vaulting Association Friendship Team, whose strong, agile and talented members ranged in age from 15 to 31, followed Brian’s performance. The vaulters dazzled the crowd as they leaped on and off the 18+ hand Belgian mounts and displayed acrobatics that most would find extraordinarily difficult on the ground, let alone on the back of a large, cantering animal. “We were thrilled to have the American Vaulting Association Friendship Team perform at the Fete Cheval Etoile and we owe special thanks to Scott Donovan of his overall coordination, the vaulters, Trey Lasater, Gabe Aniello, Caroline Shubert, Kalyn Geisler, Stephanie Harris, Alex Schaubhut, Francesca Foley, and Malu Foley, the horses, Cody and Samson, the lungers, Melanie Schaubhut and Kimberly Pritchett, and Coach Greta Shryock,” said Lynn Coakley, EQUUS Foundation President. What’s even more amazing is that vaulting is a therapeutic activity for people with special needs. 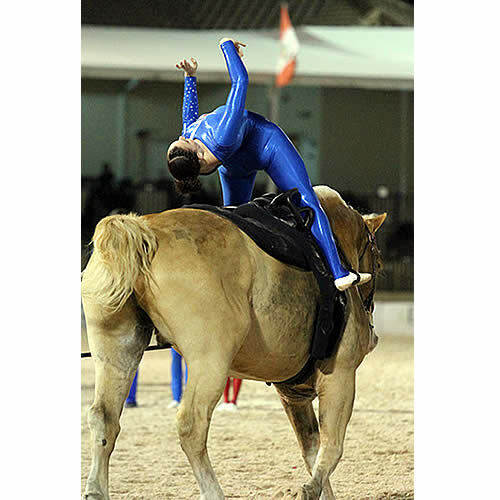 The Vinceremos Therapeutic Riding Center in Loxahatchee, one of the Foundation’s grant recipients, housed the vaulting horses and provided its facility for the team to rehearse before the Sunday evening exhibition. Following the vaulting demonstration, revelers moved inside The Gallery to dance and start their Saint Patrick’s Day celebrations. The vaulters joined the party and quickly showed everyone up on the dance floor with their impressive dance moves and lifts. From the vaulting to the post-party, the event would not have been possible without the support of generous sponsors, including corporate partners Animal Planet, Ariat International and Nestle Waters North America along with Gold Medal Sponsors Dan & Ellen Crown & the Crown Family, R. Bruce Duchossois, Becky & David Gochman, Stephanie & John Ingram, Caryl Philips & Frank Zeiss, and Split Rock Farm & Bobbie Braun. Silver Medal Sponsors for the event included Jenny Belknap Kees & Tim Kees, Marylou D’Addario Kennedy & Sean Kennedy, Fairfield Equine Associates, Patricia J. Keenan & Lawrence D’Addario, Kathryn L. Quirk, Esq. & Dr. Denise Quirk and Wrenwood Farms. Fete Cheval Etoile Bronze Medal Sponsors were Dr. & Mrs. Vincent J. Abbatiello, Jane Forbes Clark, Equestrian Sport Productions, Dr. & Mrs. Kenneth Garber, Gregory W. Gingery, Halo Capital LLC, Dr. & Mrs. Steven Herman, Sydney Keith, Caroline Moran, Elizabeth & Clifford Press and the Reid Family. The EQUUS Foundation is also deeply grateful to its auction and gift sponsors: Dr. & Mrs. Vincent J. Abbatiello, Laura Alman, Ariat International, Badgley Mischka, Barbara’s Visions, The Bentz Family, Beval Saddlery Ltd., Biba NY, Connie Bostic, Bradford Renaissance Portraits, Clinique, Companion Dogs Ltd., Violeta Cromer, Steve Daiagi, Equestrian Sport Productions LLC, Escue Polo – Shahmir Quraeshi, GHURKA, Hampton Classic Horse Show, Hunt Ltd., JODS, Elena Lusenti Photography, Jennifer H. Lyne, Rollin McGrail, Dr. Jean M. Oberg, Karen Owens, Parlanti, Tacie Saltanstall, Susan B. Schoellkopf & Jennifer Alfano, Liz Segill, Signature Spurs, Southern States Cooperative, StallWatch, Debbie Stephens, Stephens Designs, The Styleliner, SummerTies, Jim Torano, and Turner & Co.